Today’s dubstep market is notoriously flooded with talented producers and amazing tracks. Many find the amount of dubstep music being produced daunting and claim that an increase in quantity has caused a decrease in quality. However, one dubstep group from the Netherlands has not only proved to be unique and talented, but also makes music that is both respectful of the origins of the genre as well as capable of bringing new elements to their music that enhance and take the genre to the next level. 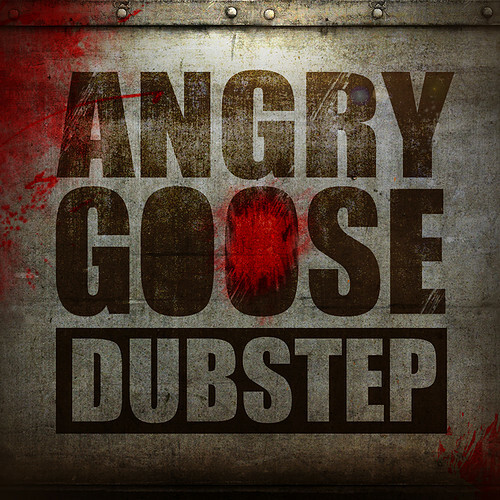 To find such transcendental dubstep, one need look no further than Angry Goose. Two producers, Witold Kush and EvertMayn, and their manager Clémens Riepma, make up this prodigious dubstep group. They are highly creative men who, in a similar fashion as LuckyMe, own a company called OSC Music & Art. This company is Angry Goose’s label as well as the label for experimental music group, DOPEiMEAN and the Dutch rapper and producer EvertMayn. They host a dubstepparty, Angry Goose Dubstep, an electro-techno party called Electric Avenue, and a reggae party, Reggae Cultjah. These provide a promotional platform for their own music as well as acting as a host for other rappers and producers. The event fliers, promotional pieces, release artwork, designs, and graffiti are the artistic part of OSC and are incredible enough to stand on their own in the artistic community as well as provide an appropriate backdrop for their music. The music they listened to when they were growing up and what they like to hear now inspire them to create music of their own. Their creative process has allowed for them to reach across genres in ways that are as surprising as they are refreshing. 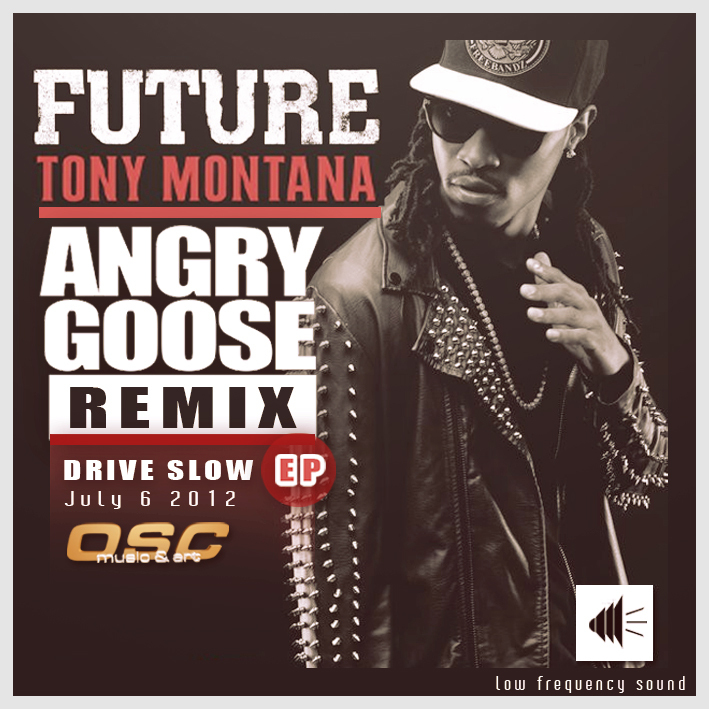 Angry Goose has remixed several classic hip-hop and rap songs including ‘Say Yeah’ by Wiz Kalifa, Young Buck’s ‘Get Buck’, an unfinished bootleg grime version of Lil Scrappy’s ‘No Problem’, and ‘My Pony’ by Ginuwine. At the same time, Angry Goose produces modern reggae as in ‘Gimme a Try’ featuring Rashanto, wobble-heavy dub such as ‘Western Kingston’, experimental and atmospheric dubstep as in ‘Smoke Machine’, ‘The Aftermath’ with Dubsteppen, and ‘Optimus Goose’, as well as jungle and dub in ‘Bomba’ featuring Rashanto. Angry Goose has collaborated with fellow OSC group DOPEiMEAN, by producing DOPEiMEAN’s background tracks for their album, “ONE40”, and when the group’s rapper, Deepeasy, was featured in ‘Smoke Machine’. ‘Insomnia’ is another DOPEiMEAN /Angry Goose collaboration with a classic hip-hop beat. OSC Music & Art’s other Dutch rapper in the trifecta of music is EvertMayn, who will be releasing tracks of his own in the near future as well. Angry Goose hopes to reach out to other rappers and producers, their ideal favorites being Method Man, Yelawolf, Royce Da 5’9, Alborosie, Noisia, Nero, Aphex Twin and so on. The moodiness of their music is reminiscent of Grieves and Atmosphere as well, so the potential vocal spectrum of Angry Goose’s style is far reaching. The group has been doing gigs in Holland and would no doubt impress audiences around the world. Currently, Angry Goose producer Witek Chmielinski is coordinating with Deepeasy on an EP coming out from the DOPEiMEAN group, EvertMayn is producing his own rap music including StickNick track ‘Better Days’ and ‘Freaky Friday’ featuring Young Cle, and the next Angry Goose album is being made. 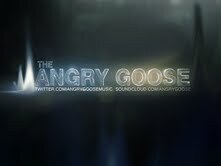 Angry Goose Volumes I and II are available on their Soundcloud and the tentatively named Angry Goose Volume III is anticipated for a 2012 release. 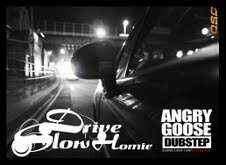 Angry Goose released the single, ‘Drive Slow Homie’, in June of 2012 on Soundcloud. It’s another atmospheric dubstep and bass heavy track that stays true to the moody feel of Angry Goose whilst adding a new gritty sensation into the mix. The production quality of the 140 BPM sizzler is stellar as always and the track is pregnant with feelings of anticipation. The EP ‘Drive Slow Homie’ was released on July 6th. Following a campaign to reach one thousand subscribers on their SoundCloud, Angry Goose released their newest track, ‘Ca$h Ca$h’ on May 1st 2013 in celebration of this achievement. This Standard was posted in Artists of Note and tagged Alborosie, Angry Goose, Aphex Twin, Atmosphere, Clemens Riepma, Deepeasy, DOPEiMEAN, dubstep, dubstepparty, Electric Avenue, EvertMayn, Get Buck, Grieves, Method Man, My Pony, Nero, Noisia, ONE40, Optimus Goose, OSC Music & Art, Patrick Eijk, Patrick OSC, Reggae Cultjah, Royce Da 5'9, Smoke Machine, Witek Chmielinski, Witold Kush, Wiz Kalifa, Yelawolf. Bookmark the permalink.